Words are fugitive viral things, prone to shift about and change their meanings unless there is great institutional force keeping them pinned in one position. Pagan is a word with many meanings and is again caught up in controversy, as many readers will have seen in the pagan blogosphere recently. Most readers will think of it as a religious or spiritual designation; yet occasionally, I come across someone who is completely unfamiliar with modern paganisms and think of it as a word meaning simply hedonistic. For my grandparents’ generation it meant someone simply who was not a good Christian or at least a member of an Abrahamic faith. So it’s always a contested word, some pulling it this way, some in that direction. Keeping to its modern more focused usage to designate members of non-Abrahamic religions that have some connections (or at least imagined) to those of Europe and the Middle East before the advent of Christianity and Islam, it has origins especially in the counter-traditions that Ronald Hutton showed to have roots in late 18th century romanticism (Triumph of the Moon). The tree of paganism has been pretty successful in its revival, and has borne so many branches. The question now is whether pagan works as an umbrella term for Wiccans, Thelemites, Druidists, Celtic Reconstructionists, Asatruar, Hellenics, Kemetics, and other assorted folk. Unsurprisingly, I find myself somewhere in the betwixt and between of the two camps that are asserting themselves. I have a strong emotional resonance with the word and have had so since childhood, reading about the ancient cultures of Europe, and also the sense of a magical natural world described as pagan in many stories. It’s a word commonly used by scholars when writing of the pre-Christian religions and practices of Europe, and pagan is certainly preferable to the term pre-Christians with its foregrounding of the Nazarene religion. At any rate, I am certainly not a Christian soldier, and am a person who identifies with the local and the local units of government (the pagus), the most likely meaning of the word at the time it became used to describe members of the old religions in antiquity*. Yet for purposes of clear communication, I often think polytheist tells more about my practices, and of course is more specific. And there’s that whole other area where I feel that Ruby Sara and others have a valid point: many people do have a connotation for pagan of a certain vaguely hippie type of person with a certain aesthetic not at all my own—and I do think aesthetics is an important aspect of religion. I know a lot of people who say they have felt put off when attending general pagan gatherings like the Pagan Pride days, feeling these are spaces also not particularly welcoming to gay men, transgendered persons, people of color, and even those whose styles are urban. Recently, I shared that I was pagan with a young woman at work, and she replied that her dad had explored Neopaganism before becoming Buddhist, but she thought it was for all the half naked women (now half naked or fully naked women aren’t a bad thing, but I think this is a fairly tawdry association within a contemporary American context). Words are situational. Definitions are provisional. In different contexts I use different words for aspects of myself. How much common ground do I sense? Can I get into specifics or is something broad required? I often do not participate in general pagan community events, especially if they are ritual oriented, because they do often seem so Wiccan dominated or at least Wiccanate. But I think it’s important to insist that pagan does not equal Wiccan. The word is useful in a general sense. There are enormous theological differences between Wicca and IndoEuropean reconstructed religions, but still they have arisen in the modern world through a lot of the same forces, and scholars do group them together. Sure there will be disagreements, dissension; some Asatruar and Religio Romano people will stomp off and have nothing to do with the rest of us, but that is nothing new (though why so many wish to write at pagan blog sites while protesting they are not pagan remains puzzling). People will shout down others’ definitions. So be it, that is the way of things in a universe governed by multiple forces. I will end with my own: there is dirt in pagan; pagans are earth -based and green, and if you have a problem with my definition, that is not my problem. Pagan: soil blood leaves bone must rock sap… It is a strong word, flavorful, not for the bland. *Many believe that the word originally meant ‘country dweller’ in Latin, yet it did not have that meaning at the time it was first used to distinguish worshipers of the old gods from the ‘soldiers of God’. Most city dwellers were pagan at that time. See Ronald Hutton’s Triumph of the Moon (4) for a discussion, or the less accessible but fascinating, Pierre Chuvin’s Chronicles of the Last Pagans. I plan on posting occasional articles having to do with local Californian polytheism/animism. For those of us whose primary traditions originate in Europe, the Middle East, and North Africa but live far from those regions, it is important to integrate spiritually into our local bioregions. For those of us who are urban pagans this includes honoring of local heroes, both human and non-human. The House of Vines has done some excellent material on Oregon. Here, I will start with Monarch. Monarch was one of the last California grizzly bears. In a publicity stunt in 1889, William Randolph Hears told a reporter, Allen Kelly at the San Francisco Examiner, to find a grizzly and bring it to the City. 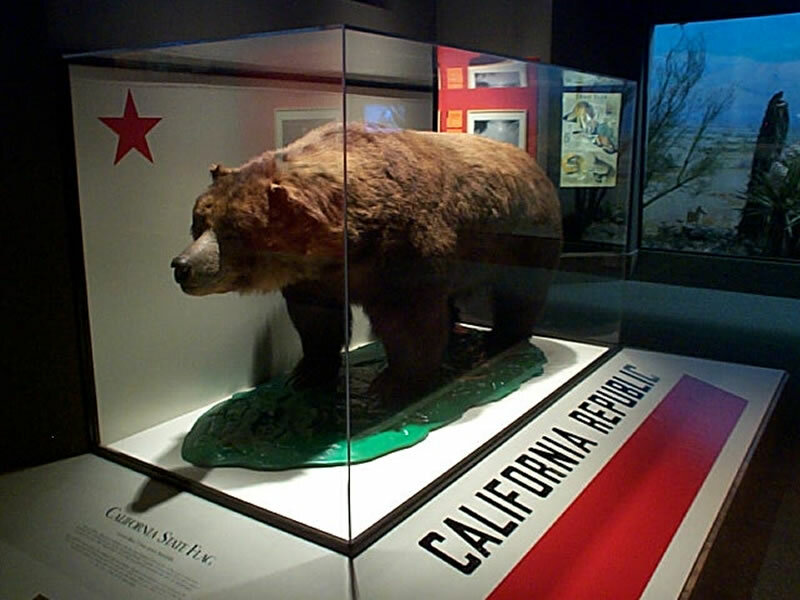 Kelly searched for five months, the bears having been largely wiped out during the gold rush, but heard that a group of Mexican men had captured one in the then remote reaches of Ventura County. With some difficulty the 1,600 pound bear was brought north to San Francisco by train where he was to live in the Mission District’s Woodward Gardens menagerie before being moved to Golden Gate Park a few years later. 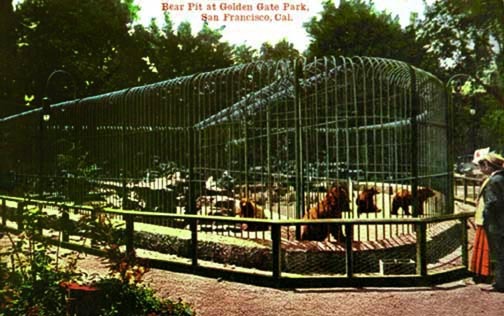 Eventually a bear cage was built at what came to be known as Monarch Hill in the park. He would live there until his death in May, 1911. Monarch became the model for the California state flag, though California already had a bear flag, which dates back to the days of the intriguing, if very short-lived, Bear Flag Republic, when California was an independent nation. The bitter irony is that the California grizzly is extinct, with the last known one being shot in 1922. The subspecies is reputed to have been largest of bears, growing up to 8 feet tall and weighing up to 2,000 pounds. The subspecies was reported to be distinct in its behavior, cooperating in groups in the abundant acorn, berry and salmon rich lands of old California. Monarch’s body was taxidermied and can be seen in the California Academy of Sciences. Sadly, a spokesperson for the museum said there was no commemoration planned to mark the centennial of his death. I’m surprised that there is no marker commemorating this magnificent bear in the park. As far as I can tell the actual location of his pen is now a fenced-off park maintenance area. The hill has a beautiful native oak grove and is full of squirrels and jays. There are stone blocks scattered near the top, remnants of another odd building project, one in which Hearst in a hubristic project hoped to reconstruct a Trappist Spanish abbey that he’d had dismantled in its original location (the 13th century Santa Maria de Ovila) on one of his estates. The project fell through and the blocks ended up near the old bear pen. There has been a fair amount of controversy about these stones, with some of them being used in landscaping projects by park gardeners (and called a desecration by a Catholic authority) and also in recent years being used to build a new Cistercian retreat near the Hearst Wyntoon estate on the McCloud River under Mt. Shasta, www.sfweekly.com/content/printVersion/309607/. At any rate, various of the stones remain on the hill and often have birdseed and small offerings scattered on them, which sure seems a good repurposing to me. Various pagan groups have used the Monarch Hill Grove for ritual, including an OBOD grove, and an ADF one over the years. The quiet woodland of the AIDS Memorial Grove lies below. I feel Monarch is a local and California ‘totem’ spirit (and connects us to the tragedy of extinction of his magnificent subspecies as well). May Monarch be long remembered and inspire people to protect and to find all bears kin! Monarch Hill is a peaceful place in which to meditate and to contact and commune with the spirits of the land, and various non-human friends. While there is much to be said for the view that the biosphere is wholly a sacred process, is it really true there are no unsacred places? If we have sacred places, they can be desecrated. There are considerable landscapes that have been desecrated, entire regions blanketed in waste. Dead zones. Garbage patches and garbage vortexes. For dark green religionists what does it mean to live in a world where so much has been desecrated? Core values of the western world still embrace ‘man’s’ triumph over nature, green laws notwithstanding. Unsustainable building booms still proliferate from China’s ghost cities (new cities financed by the government that almost no one can afford to live in) to Dubai. 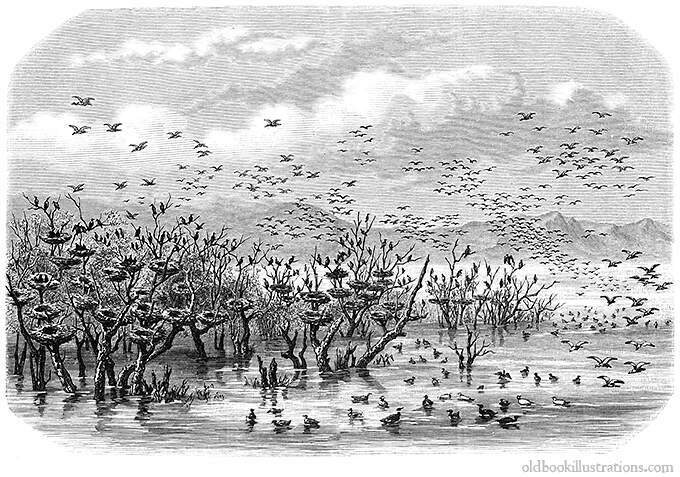 Rearrangements of the natural world are deployed in shock and awe tactics as in Dubai’s famed artificial islands and towers and Vegas’ over lit erection over the Nevada desert. The photographer and filmmaker Edward Burtynsky presents disturbing portraits of such spaces in his.2007 film Manufactured Landscapes, revealing Chinese trashscapes completely covered with computer parts from the west, whose toxic innards are taken apart by hand by unprotected laborers, and the wretched Banlgadeshi boys and men who dismantle oil takers that meet their demise on Bangladesh’s vast oil- tainted tidal flats. A nearly endless list could be compiled of once sacred places converted into toxic spaces across the planet. To give just one example, the Grasberg mountain in West Papua/Irian Jaya, Indonesia, a mountain within living memory mined only for its gifts of dreams by indigenous Papuans, hosts a mining operation by FreeportMcMoran that operates the world’s largest gold mine and third largest copper mine, and has created an open crater a mile wide and such massive pollution as to have killed off almost all fish life and contaminate the faraway Arafura Sea, and is implicated in genocidal repercussion for the local Papuans who once communicated with their ancestors on this desecrated mountain (see May/June2011Orion magazine). In a world of waste, perhaps finding value in waste is a good strategy. Is waste related to the Sacred in some mysterious way? What option does this give us as we live in a world riddled and littered by mountains of industrial excretion? Georges Bataille, the French writer and thinker, theorized religious creations as ways that cultures expend their excess energy—in splendid tombs, sacrifices, elaborate feasts, and magnificent artworks, often of an ephemeral nature. What modernity thinks of as waste was something that flowed back and left bonds of community in its wake in archaic societies. More negatively, cultures can siphon this energy into endless warfare, as does our contemporary global society, and into consumerism, which produces enormous waste that destroys life systems, and isolates individuals in atomized existences. In Bataille’s Peak: Energy, Religion, and Postsustainability, Allan Stoekl makes a fascinating examination of how Bataille’s theory of expenditure* can have meaning in today’s reality of fossil fuel depletion. We can see two or three popular trends in dealing with this situation at present: one is the typically New Age idea that “Man” is full of endless solutions and inventions and will technologize out of the predicaments of climate change and fossil fuel depletion. Once we used wood, and then coal, and then petroleum, each fuel more efficient than the previous; therefore new inventions like fusion will only take us into an energy richer future, according to this tech faith. These proponents leap then from the history of more refined engines and technologies into faith—a faith in Future, even if it’s one where humans merge with the technologies they have set off: In cyborg utopias, or even more creepily as downloads in AI dreams. At its most extreme this is the faith known as the Singularity, promoted tirelessly by people like Ray Kurtzweill and Hans Moravek. The second is the resurgence of the faith in the Book: various forms of monotheistic fundamentalism. “Man” was given dominion and blessing in the Beginning, man is to consume it all and be brought up in some kind of rapture to the Heavenly destination. There would be no worries but still, one probably will have to fight the Unbelievers first. A third is reactive of and to the culture of consumption, one that might be called-eco-virtue or eco-Puritanism. This one embraces doing without, frugality, simple costuming; for Americans it has the familiar ring of Puritanism. In many ways it seems sensible, but it denies many primal urges of being a human animal and a social creature. Nature is a strictly limited treasure and the followers of this path will be careful wards and guardians, parsimoniously meting out the rations they hope to manage thimbleful by spoonful. Yet their relationship with world remains that of human and the ‘other’; there is more than a hint of smug resentment here as well, where the grim trump the profligate. This can be seen here and there in contemporary paganisms. Often it takes up a rhetoric that has been familiar in many eras, often particularly haranguing women for their clothing, their cosmetics, their footwear; this was a frequent complaint of men in Renaissance and early modern Europe, and reflected in the laws requiring the wearing of ‘sad’ colors in colonial Massachusetts. A blogger (Howling Hill) on the No Unsacred Place website reminds me of the pamphleteers of that era. What could be more in contrast with Dionysian exuberance? Our civilization has long been one of cold calculating, of intense utilitarianism, of sober command control centers, of measured apportionment and quantification. Energy overspilling gets conduited almost immediately into consumption of soon to expire commodities and branded images. We have lost the traditional festival where overflow and spills still coursed not that long ago, historically. We live within vast expenditures of energy, only small portions ever available for human purposive use; the stars ever overflow into the void, in perpetual giving and celebration. Dead bodies are ripped asunder in profusion and riot in new growth, rot and fecundity inseparable. Festivity breaks out and runs wild blooming over fences and boundary lines in vivid color. The mask of the personality is dropped, shattering; in such contemplations, such experiences, our limits are surged over. Various magic schools talk of doing sigils without lust of result, here we have gift giving, sacred letting go that is not based upon cost analysis statements. Bataille theorized sacrifice as at the heart of sacred activity, and being an expenditure that is reckless, which brought immanence through its transgressions of the boundaries of everyday life, such as in the sacrifice of a bull, wherein a valuable animal corralled within agrarian use, goes into death to the gods, being removed from the heavily determined economic status it formally had and so freeing experience of the sacred for celebrants. If the community then feasted upon its barbecued meat, they partook of that overflowing of boundaries, that sacred intimacy created via the sacrificial act. And as an ‘aftereffect’ they would be further communally bonded. Humans labor to create beautiful artwork to dedicate to the temple, to create beautiful costumes to wear on festival days to dazzle the gods, to prepare and cook lavish foods for the feast, to release energy in orchestras and in the making of props and decorations for mystery plays, and in the pomp and motion of splendid processions—all of this is the harnessing of excess energy, and is spent in ways that do not harm the overall weave of life, and actually create life-affirmative effects. This is really the opposite of the third trend (eco-Puritanism), where energy exists to be conserved, an attitude solely focused upon scarcity. It is also an expenditure in sharp contrast to spending the excess of society upon weaponry and warfare or in needless consumption of short lasting things, that are hard or impossible to recycle or repurpose and which often increase social isolation rather than nourishing community and conviviality. The eco-Puritan remains locked in a denial, a renunciatory attitude steeped in Christian theology, a negative perspective on life very at odds with exuberant ancient polytheism. The Gleaners. 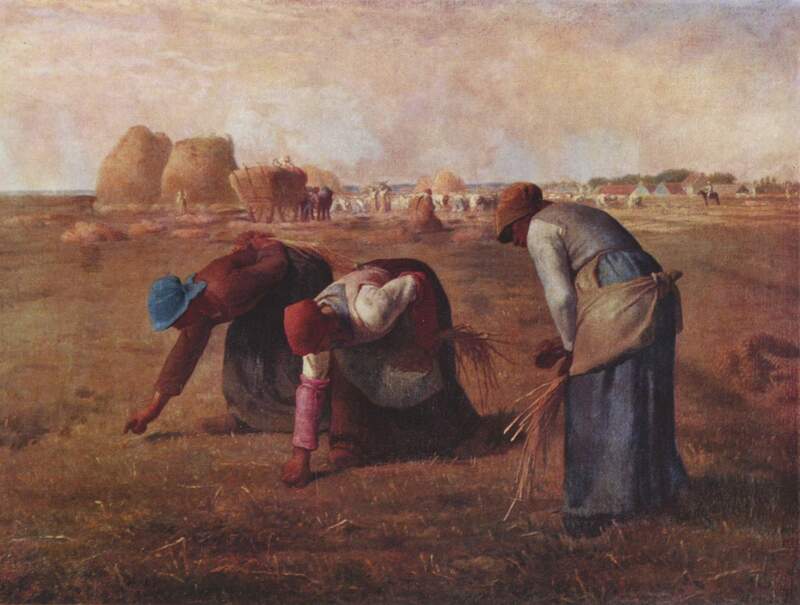 Jean_Francois Millet, 1857. As 21st century polytheists/animists, I suggest we explore and encourage ways of living and making, including literal harvesting of waste (gleaning, scavenging, salvaging), in such ways that our excess falls back into the abundance of life and the gods in sacred rounds of re-cycling. This orientation which Stoekl calls “postsustainable” is one in which we labor in order to expend: “Hence the energy, and wealth, of the body—the energy of libidinous and divine recycling not the stockpiled, exploited, and dissipated energy of easily measured and used fossil fuels (Stoekl, xxvll). Another way to describe this is generosity, that is the world of the gift. * Bataille, contra so many theorists of economics and energy, saw the universe as one of superabundance from the vast outpourings of the sun to the excessive exuberance of life.